Social Media Influencers | Hire Top Influencers to Represent Your Brand! Get exclusive access to social media influencers to promote your brand or product! For social media influencer marketing, fill out the form! 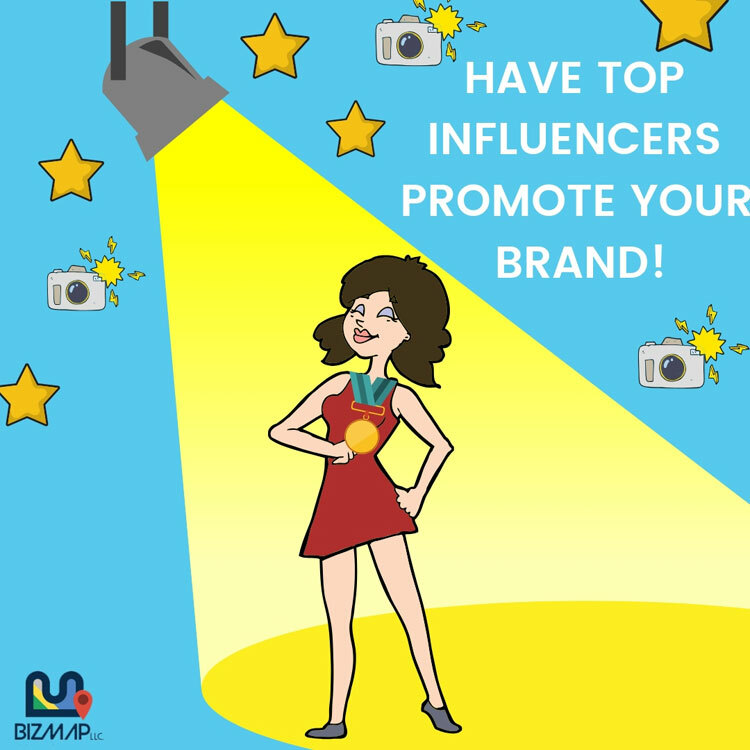 Bizmap’s social media influencers would love to market your brand or product! Our database of influencer marketers would love to connect with you today! Take your brand to the next level with bizmap! Do you know the power of social media influencers? Well, if you do not, in today’s online arena influencer marketing is HUGE! People look upon the opinions of others on social media. Thus, social media influencer marketing has become a primary way of establishing good credibility online. Bizmap is your go-to digital marketing agency. If you are looking for an business that cares about your success, give us a call! Our social media influencers would love to take your brand to the next level!